Thank you, Mr. Chairman, for inviting me to participate in this hearing. I am director of economic policy at Reason Foundation, a public policy think tank promoting choice, competition, and a dynamic market economy as the foundation for human dignity and progress. In that role I study energy policy, focusing on fuel and electricity issues. I am also a senior lecturer in the Economics Department at Northwestern University, where among other responsibilities I teach a course in environmental and natural resource economics. I also am a Senior Policy Fellow in the Interdisciplinary Center for Economic Science at George Mason University, where I work with Nobel laureate Vernon Smith and the other outstanding economists there to bring the insights of experimental economics to real-world policy applications. None of my remarks reflect the opinions of either Northwestern University or George Mason University. Not surprisingly, the costs of this transition, in combination with the unsettled global oil markets this spring, led to average retail gasoline prices above $2.00 for some time. Why have we incurred these costs – why shift away from MTBE? MTBE has some negative environmental consequences. However, so does ethanol. So why do we have an oxygenate mandate? The intended objective is environmental protection, but oxygenates fail on that front. Not only do oxygenates fail to improve air quality, their production creates soil and water pollution, and they are more costly than other approaches to cleaner fuel. Furthermore, the oxygenate requirement redirects resources to oxygenate production that could be used more constructively to achieve real improvements in environmental quality. The volatility of retail gasoline prices illustrates the most pervasive unintended consequence of our existing layered pyramid of fuel regulations: the combination of state and federal fuel regulations balkanizes markets. In an environment in which fuel regulations balkanize markets, fuel in one place is no longer substitutable for fuel in another. That balkanization reintroduces price disparities that diminish naturally through competition. Thus wholesale fuel markets become less resilient and less able to absorb unanticipated shocks such as pipeline mishaps and fires. This balkanization makes consumers vulnerable to unexpected changes in market conditions, most notably because shortages cannot be offset through importing fuel from elsewhere. As engineers say, the pyramid of fuel regulations reduces the fault tolerance of our gasoline markets. How does this fracturing of fuel markets relate to California? California is subject to both state and federal fuel emissions regulations. Federal regulations, resulting from the Clean Air Act Amendments of 1990, mandate the use of a fuel oxygenate to decrease emissions and produce a cleaner, fuller burn from the fuel. The two prevalent oxygenates are MTBE and ethanol. MTBE is a methane derivative that has been in widespread use because of the ease of blending it with gasoline, as well as its lower cost relative to ethanol. Ethanol, a plant derivative, also decreases emissions of benzene, 1-3 butadiene, formaldehyde, and acetaldehyde, as does MTBE. The switch from MTBE to ethanol, in California and other states, has been the consequence of two features of MTBE: its unpleasant taste and difficulty of removal when it leaks into water, and its potentially carcinogenic action in humans. The MTBE taste shows up in concentrations much smaller than are considered carcinogenic. These traits of MTBE have helped swing the balance of opinion and policy toward ethanol. Although such ethanol mandates are increasingly popular at both state and federal levels, the comparisons of the desirability of using ethanol or MTBE are far from conclusive. First, the science of ethanol indicates that ethanol is not unequivocally superior to MTBE in cleaning the air, and there are a lot of unknowns about ethanol’s effects on humans when it leaks into water and soil from tanks. 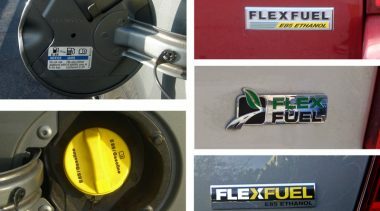 One primary question regarding ethanol’s science has been whether or not ethanol has a positive energy balance; in other words, when you take into account all of the energy that goes into producing ethanol, including the energy required to produce the corn inputs, do we get at least that much energy potential out at the back end? A recent study by Tad Patzek, an engineering professor at the University of California-Berkeley, reviews all of the existing studies and provides some new data. Patzek’s analysis indicates that “as much fossil energy is used to produce corn ethanol as can be gained from it.” (p. 9) His analysis more fully takes into account the entire energy chain than the earlier reports from Argonne National Laboratory and the Department of Agriculture did, and suggest that ethanol production and use is not a positive-energy choice. Furthermore, Patzek and others (including a 1999 blue ribbon panel for the Environmental Protection Agency) point out that ethanol itself does contribute pollutants to the air. Although it can decrease carbon monoxide, ethanol’s volatility means that it can increase volatile organic compounds when burned. Both carbon monoxide and VOCs are ozone precursors and can lead to smog. In addition, the production of ethanol can produce nitrogen oxides and aldehydes, which are themselves ozone precursors. When discussing ethanol we tend to think about air quality, and we forget that investigating the effect of ethanol on water and soil pollution is a crucial part of the analysis. MTBE is being phased out because of its leakage into groundwater, but ethanol also has implications when it leaks from tanks. Bacteria living in soil metabolize ethanol so enthusiastically that they ignore the otherwise appealing gasoline hydrocarbons, so ethanol leaks can lead to increased benzene concentration in soil, called benzene plumes. Another consequence of ethanol production arises from the increase in corn planting and cultivation. The GAO estimated in 2002 that California’s ethanol mandate would double the amount of ethanol consumed in the United States. Ethanol production is energy intensive, consuming nitrogen fertilizers and producing air emission, carbon dioxide, and waste water. Increased fertilizer use is likely to exacerbate the problems of runoff running into large watersheds, the most dramatic example of which is the demise of certain animal populations in the Gulf of Mexico due to increased nitrogen concentrations from the Mississippi River watershed. In addition, the production of nitrogen fertilizer is very energy-intensive, and itself generates airborne pollutants. Fertilizer production also creates carbon dioxide as a by-product, so increased ethanol production actually implies increased production of greenhouse gases. A second set of complications from an ethanol mandate comes from the transportation of ethanol from its production sites in the Midwest (which is unlikely to change, because of the substantial cost savings from producing ethanol close to the feedstock (corn) source). Ethanol is both very corrosive and incredibly water soluble, so shipping it via existing pipelines is impossible (and the construction of new pipelines is highly unlikely). Thus ethanol transport involves trucks, trains and barges, which are expensive means of transporting a dense liquid like ethanol. Furthermore, trucks, trains and barges require energy, which means that ethanol transport generates air pollutants. We should also take into account transportation security risks, particularly the effects of crashes and spills on local soils and watersheds. We know that MTBE is not a clean, green fuel, but neither is ethanol. Claims of its clean nature ignore the energy and pollution costs incurred in the production and transportation of ethanol, and those costs can be large. According to the data available to the Committee, the addition of oxygen to fuel in the form of commonly available oxygenates had little impact on improving ozone air quality. Data suggest that oxygen causes a small reduction in the mass of VOC and CO emissions, and the data on NOX emissions is inconsistent. Both the NRC study and the EPA blue ribbon panel report from 1999 reach the same conclusion: oxygenates may not provide the air quality benefits that we thought they did, and that technological improvements in non-oxygenated fuels has led to fuels that can achieve air quality objectives without oxygenation. Indeed, California Blended Gasoline, CBG, is a prime example of a non-oxygenated fuel that can deliver air quality benefits. One of the obstacles to evaluating the performance of the federal oxygenate mandate in achieving environmental benefits is the EPA’s stovepipe or silo approach to measuring impacst on air, water, and soil. If in evaluating oxygenates the EPA looks only at changes in air quality, they overlook the effects, positive or negative, on soil and water. In the case of oxygenates, we are learning that leakage can have serious implications for soil and water quality. For example, California asked to be exempt from the oxygenate requirement when they realized that MTBE leaks into water were making the water undrinkable, but the EPA refused, based solely on an evaluation of the air quality benefits of MTBE. When the EPA limits its scope to air effects it is ignoring obvious costs, even at the expense of damaging other resources that the EPA is required to protect. The federal oxygenate requirement does not live up to environmental performance standards. Taking into account the pollution created in the production and transportation of oxygenates, it does not increase air quality, yet it still raises costs of fuel to consumers. It contributes to soil and water pollution, which are not currently taken into account in evaluating oxygenates. It also diverts resources that could be used to improve environmental quality by other means into paying to satisfy the mandate, by, for example, inducing increased corn production to manufacture ethanol. In 1999, a blue-ribbon panel commissioned by the EPA recommended the elimination of the oxygenate requirement arising from the CAAA of 1990. I concur with that suggestion. I suggest that we ask a related question: are there better ways to achieve meaningful environmental performance than command-and-control approaches, such as the oxygenate mandate we are reviewing here? I recommend that the existing input-based mandate be replaced by a performance-based requirement, enforced by air quality monitoring. A performance-based regulation gives refiners the incentive to produce fuels that increase air quality without dictating how they are to do it, which is an onerous constraint on creativity. A performance-based air quality requirement harnesses the deep knowledge that refiners have of how to achieve cleaner fuels, deeper knowledge than legislators or regulators have. The past decade has illustrated the power that incentives have to shape human behavior with regard to environmental quality. Regulations that rely on command instead of incentives have repeatedly shown that they are ill-suited to meeting the range of goals that we have, including environmental quality. Performance-based requirements that recognize incentives can generate improved environmental quality, as long as statutory regulations do not dictate how that is to happen.